I am excited and pleased to announce the first public alpha release of GameEx Evolution. Please try it out and discuss in our newly opened forum. It can be installed alongside the existing GameEx and it is functional and stable for alpha software. 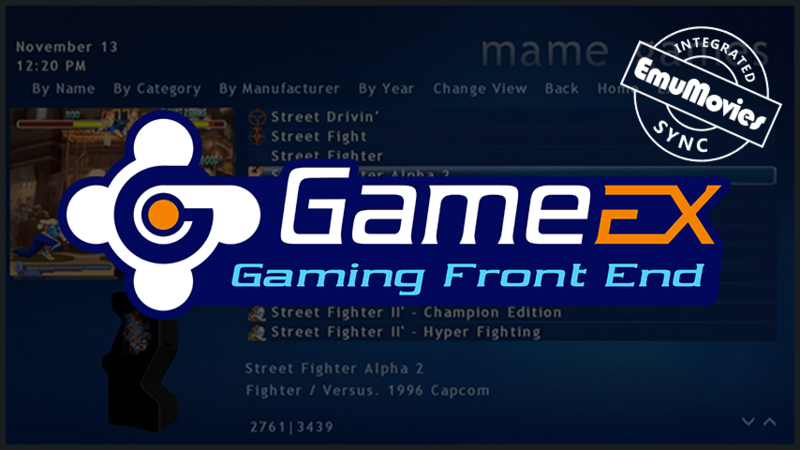 We have focused purely on MAME arcade for this initial release in order to provide something functionally complete. You need to know though that this is not the culmination of our work and there is a lot of power and functionality behind it that covers this and other areas..
We have all made sacrifices with our time and finances to get this far and it is no small feat for us. For MAME arcade front end features we have something about as functional as things get, albeit with some more polish to add. We do already have a setup wizard for configuration and the front end can be used with the media and videos on our FTP server or content from EmuMovies. You should install LAV video codec filters. At this point the release is entirely free to all. This will change as the product moves along. I encourage you to take a look and let us know what you think. We are pleased with what we have completed and there is much more to come. I would like to thank my entire team here for their support and hard work on the project and particular Ben Baker and Flash for the sacrifices they have made in getting the project to this point along with the majority of work completed.